As a life-long environmentalist and ecologist interested in pursuing environmentally sustainable policies, I attended the Governor’s Energy Conference in Richmond last week. My perspective on the subject is somewhat unusual. I was a founding member of Greenpeace and served for nine years as president of Greenpeace Canada and seven years as a director of Greenpeace International. My academic training is in forest biology, with a doctorate in ecology. Yes, I am a passionate environmentalist, but one who professes a balance of environmental, social and economic priorities. Like some of my fellow environmentalists, I have concluded that nuclear energy is the only source of power capable of providing pollution-free electricity on a large enough scale to replace some of the nearly 70 percent of U.S. electricity generated by fossil fuels such as coal and natural gas. Wind and solar power have their place, but they are too intermittent, expensive and unpredictable to replace big baseload plants such as coal, nuclear and hydroelectric. And, hydroelectric resources, providing 8 percent of U.S. electricity, are built pretty much to capacity. Nuclear energy does not produce any of the pollutants associated with coal and natural gas, and it is the most efficient form of energy available. A single 7-gram pellet of uranium fuel produces the same amount of energy as 17,000 cubic feet of natural gas or one ton of coal. As a sensible environmentalist, I recognize that mining raw materials from the earth is an unavoidable necessity in a modern society. Every building, car, cell phone, computer, wind turbine and solar panel requires the mining of iron, copper, aluminum, titanium and rare earths. Nuclear energy is no exception and requires the mining of uranium to produce nuclear fuel. As a result of the most stringent environmental and safety controls of any industry in the United States, today’s uranium mines are safer and more environmentally sound than any other type of mining. I have visited uranium mines in the United States, Canada, Australia and Eastern Europe. I have witnessed firsthand the robust, multi-layered systems used at these operations to protect water, air, soil, plants and wildlife from contamination and other potential adverse impacts. Uranium mine and mill facilities use heavily engineered barriers and water management systems to prevent the release of materials outside of those facilities. Waste materials, known as tailings, are no longer stored in above-ground dams that allow floods, heavy winds or rains to wash material into streams and rivers. Instead, tailings are encased in heavily lined, below-grade containment cells that prevent any contact with groundwater or any release due to flooding or other severe weather events. At these facilities, I have observed the frequent, ongoing testing of air, water and soil quality that is conducted to detect the slightest elevations in contaminant levels on the sites and in surrounding areas. In no instances have I ever seen or learned of any activities that endangered workers or community residents. I have also reviewed ecological and epidemiological studies measuring the long-term health and environmental impacts of uranium mining and other nuclear operations. Several studies examining public health records for thousands of uranium workers and populations living near uranium mines in three states found no differences in cancer rates between those subjects and populations living in non-mining areas. A groundbreaking public health study by Columbia University compiled health records from 54,000 nuclear plant workers and found that these workers had fewer cancers, less disease and lived longer than the general population. I look forward to the release of the National Academy of Sciences study on uranium mining in Virginia in December of this year. I am confident it will confirm what I have discovered and will identify the best practices and safeguards necessary to ensure that uranium mining is conducted in a way that protects human health and the environment. I hope the study contributes to the formulation of a sensible policy for uranium mining in Virginia that allows the commonwealth to harness the enormous benefits of clean, emissions-free energy contained in Southside Virginia’s uranium resources. 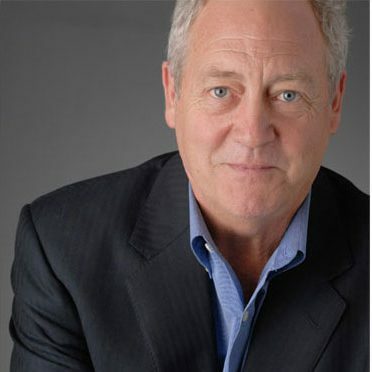 An advisor to government and industry, Patrick Moore is a co-founder and former leader of Greenpeace, and chair and chief scientist at Greenspirit Strategies Ltd. in Vancouver, Canada. His recent book, “Confessions of a Greenpeace Dropout: the Making of a Sensible Environmentalist,” is available at www.SensibleEnvironmentalist.com.